JEB: The initial inspiration for this puzzle was triggered by my wanting to know the origin of the expression "By hook or by crook." When googled it was interesting to find that it is very old and is said to come from one or two different potential derivations; one relating to firewood restrictions and the other to navigational hazards! I liked that BY HOOK OR BY CROOK could be nicely matched for puzzle symmetry (word length, meaning, and potential graphic relevance) by ONE WAY OR ANOTHER. From there the "hook" and "crook" design graphic, with the FISH and LAMB props, began to take shape. This puzzle, even though rejected on its first review by Will and Joel., did receive generally positive attention for theme and design. The negative commentary had to do with too much weak fill and a block layout that was overly closed through the center section between the "hook" and "crook". I struggled mightily with the resubmittal and found that in opening the center by shortening the "hook" and "crook" by one square that the fill was still troublesome and the graphic was starting to be compromised. The second submittal was shot down also, even though Will left the door open a crack for another try. That's when I decided to "call in the cavalry" in the form of my cross-town friend Jeff Chen! :-) I was excited that Jeff wanted to invest time in saving this puzzle as a collaboration, and I know if it weren't for his expertise and input, this puzzle would never have gotten "NYT Ink." Jeff came up with two improved suggested modifications to the "hook" and "crook" layout which helped to loosen up the fill potential. Plus, his more robust word database contributed to the overall fill quality. Following the resubmittal or our new iteration, Will gave it the "thumbs up"! Jeb and I live close by, so we get together and talk shop. During one session, he asked me to review some of his ideas, and I thought this one had the most potential. It seemed a little thin, but I suggested he ought to run with it. Months later, he got back in touch, saying that Will and Joel liked the idea, but not his rounds of gridwork. After several backs and forths, they thought he might be biting off more than he could chew; that perhaps the grid was too ambitious to construct to their standards. Those are the magic words for me, so Jeb didn't have to do much convincing to get me on board. The first thing I did was to switch the order of the themers — Jeb had BY HOOK OR BY CROOK first, and I felt like it'd give away the game too quickly. Easy to swap them. Then, I tried to rebuild around more theme — how cool would it be if there was something thematic running through the two themers? It took a lot of searching, but I finally came up with something I liked: the GREAT OUTDOORS. Perfect! Well, maybe not perfect, but a nice, descriptive phrase that tied LAMB and FISH together — could be clued with respect to a meadow and a fishing hole. So I spent maybe eight hours coming up with a grid around that. Jeb's response: "Neat grid! But how is GREAT OUTDOORS related to the theme?" So, back to the drawing board with a completely different grid. Ten more hours later, I finally decided that I'd have to accept a trade-off, and SST allowed for a good amount of snazzy fill. 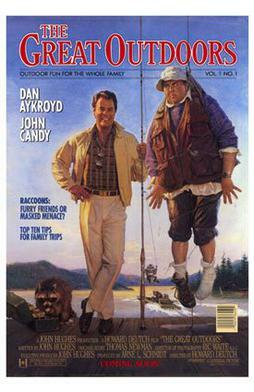 I was pretty sure Will and Joel would favor the first (GREAT OUTDOORS) grid, anyway. Yet again, shows what I know! Average word length: 5.14, Scrabble score: 318, Scrabble average: 1.72.